We do inform about any of the missing person, whether they missed from home, office, on the way or any other place. Or person has just run away from house due to any conflict in family, either person is in depression. Our wide network across the boundaries make us search out the missing person. - Loss and missing kids/ woman, old age person, kidnapping. - Locating fraud related vanishings. Missing Person cases are basically of two types: Firstly, People who are intentionally missing or they had hidden themselves from other people. 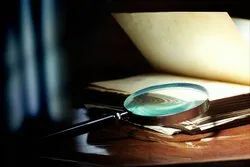 Our bureau specializes in investigating missing cases. The various cases we investigated include absconding and missing persons, persons fleeing away with valuables or after committing any crime. Special teams are employed for investigating such type of cases and also we ensure that only latest technology is employed. Further secrecy of the clients is maintained. This service of ours ensures locating anyone who are missing, & could be relatives, heirs, witnesses, debtors, spouses, defendants, frauds or runaways. 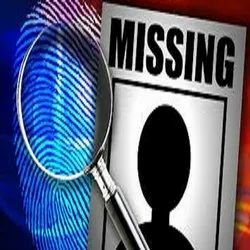 We offer customers services for Tracing Missing Persons. A discreet & professional service, we help in finding missing persons or debtors. Our full charges are only applicable if we are successful. Our team also welcomes telephone enquiries as well as offer support by telephone or email - whichever our customers prefer.